4 tablespoons Basic Lemon Vinaigrette divided and one half reserved. Preheat oven to 400 degrees. 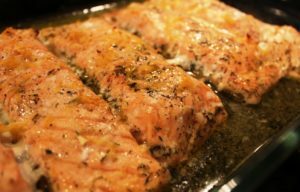 Place salmon skin side down on a rimmed baking sheet lined with foil. Brush salmon with one half of the lemon vinaigrette and season with salt and pepper. Place salmon in oven. Roast until salmon is just cooked through, 8 to 12 minutes, checking frequently (do not overcook). It will flake easily when done. Remove from oven, brush with remaining vinaigrette. Sprinkle with herbs and serve. Halve and pit the avocados. With a large spoon, scoop out the flesh into a mixing bowl. Mash the avocados with a fork, leaving them still a bit chunky (or to your taste). Add all of the rest of the ingredients. Gently mix together. 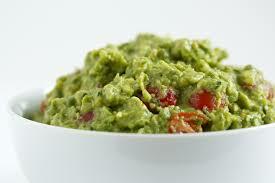 Lay a piece of plastic wrap directly on the surface of the guacamole to prevent browning and refrigerate for at least 1 hour before serving. 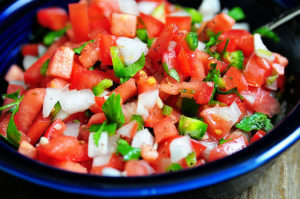 Combine bruschetta ingredients in a bowl, and let set at room temperature for 1 hour for flavors to marry. Plate one chicken cutlet hot from oven with a generous serving of bruschetta placed on top and serve. 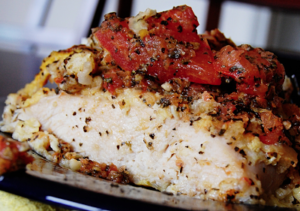 Pound chicken breasts into cutlets and then cut into two even pieces. Mix together almond meal, garlic, herbs, salt and pepper on a dish. Dredge each piece of chicken in egg and then coat with almond spice mixture. Heat olive oil in a nonstick pan to coat bottom. Brown each cutlet on both sides, in batches, and more oil as needed. 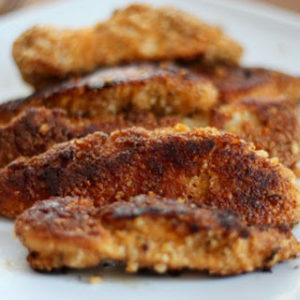 Place browned cutlets on a cookie sheet lined with foil. Bake for 10 minutes, until cooked through. 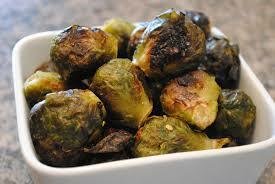 Mix sprouts with the olive oil, salt and pepper in a bowl. Place on a sheet pan and roast for 40 minutes, until crisp and browned on the outside and tender on the inside. Occasionally shake and turn the pan while roasting to ensure even browning. Serve hot. Mix all the ingredients together in a bowl. Taste and adjust seasonings as needed. 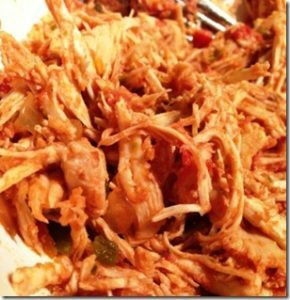 Cover and refrigerate for up to three days. Stirs and drain any excess liquid as desired before serving. 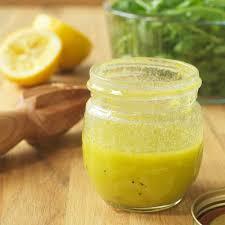 Squeeze the lemon juice into a mason jar and add oil, garlic, salt and pepper. Place the lid on the jar and shake until emulsified. Taste, and adjust seasoning if need be. (You can also whisk in a bowl or mix in a food processor or blender). 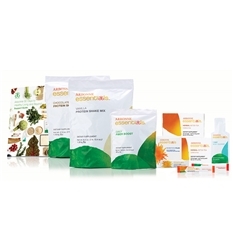 Life side-tracked our plan to do the Arbonne detox in August. My mother-in-law became was gravely ill. So, after settling my dad into assisted living for only 48 hours, I grabbed the kids and headed back east to meet Joe and say goodbye. I had never seen him so sick. Urgent care sent us straight to the ER. Hours later we were home with anti-virals, antibiotics and pain killers. It was two more weeks before he was better. That’s when I decided we needed to make the change. We’re killing ourselves.